Today's Sunrise Serenade was "I'm Putting All My Eggs In One Basket" by Bunny Berigan and His Orchestra. Click on the song title for a sample from emusic, or click here for the album page. The Hollywood Revue has posted its monthly preview of programming on Turner Classic Movies. The Star of the Month for April is Anthony Quinn, and the theme for the Friday Night Spotlight is A. Arnold Gillespie, MGM’s top visual effects artist, who helped bring some of MGM’s most famed movies to life, including The Wizard of Oz, Tarzan and His Mate, and Mutiny on the Bounty. This morning's Sunrise Serenade was "Who Cares?" by Benny Goodman and His Orchestra with Fred Astaire on vocals. Click on the song title to listen courtesy of Jazz On Line. This encore from 2012 is a 1947 Famous Studios animated short featuring Little Lulu. In this cartoon, Lulu gets the shaft when a golfer who hired her to caddy fires her without payment. She and her frog, Qunicy, soon collect the compensation. From the Internet Archive, here is Cad And Caddy. This morning's Sunrise Serenade was "Death Ray Boogie" by Pete Johnson. Enjoy the video from YouTube. Eat At A Vintage Diner With 1938 Prices! Here is an interesting item posted on Retro Roadmap. 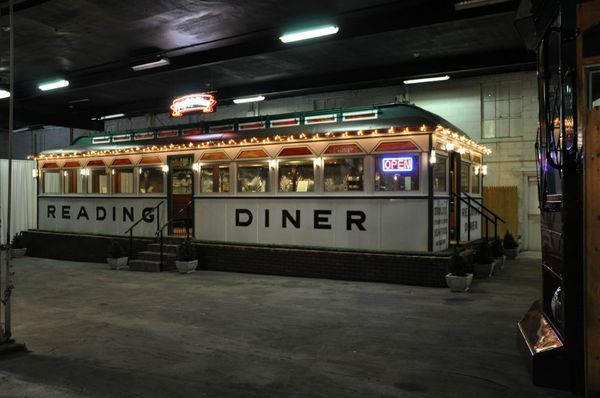 On Saturday, April 11, the Boyertown Museum of Historic Vehicles (in Boyertown, MA) will host its fourth annual Diner Day, during which you can buy homemade pie and coffee in its vintage diner at 1938 prices; and explore the museums collection of classic cars, trucks, motorcycles, wagons, etc. Today's Sunrise Serenade was "Not A Care In The World" by Benny Goodman and His Orchestra with Peggy Lee on vocals. Click on the song title to listen courtesy of Jazz On Line. The playlist for the March 25, 2015 broadcast of the Swing Shift Shuffle has now been added to the playlist filing cabinet. This morning's Sunrise Serenade was "I'm Checkin' Out, Goom Bye" by Duke Ellington and His Orchestra. Click on the song title to listen courtesy of Jazz On Line. Today's Sunrise Serenade was "The Old Music Master" by Hoagy Carmichael. Enjoy the video from YouTube. 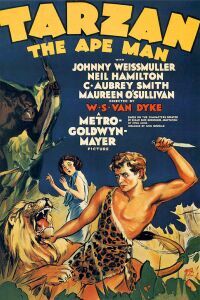 MovieFanFare has another This Week In Film History post with a few notable items from the Swing Era, including Johnny Weissmuller's first appearance as Tarzan, and the first film version of a comic book super hero. March 25, 1932: Olympic swimming champ Johnny Weissmuller is Tarzan the Ape Man and Maureen O’Sullivan Jane in the first in MGM’s jungle adventure series. March 28, 1935: Director Leni Riefenstahl’s propaganda documentary Triumph of the Will, chronicling a 1934 Nazi rally at Nuremberg, premieres in Berlin. March 28, 1941: The first movie adaptation of a comic book superhero appears with the first episode of Republic’s serial The Adventures of Captain Marvel. March 25, 1943: Japanese director Akira Kurosawa‘s first film, Sanshiro Sugata, is released. March 22, 1944: Hollywood enters the age of TV advertising, as Paramount promotes The Miracle of Morgan’s Creek in a 30-minute program hosted by director Preston Sturges. March 24, 1949: Laurence Olivier’s production of Hamlet is the first non-Hollywood film to win a Best Picture Academy Award. Also, John Huston (Best Director) and dad Walter (Best Supporting Actor) are the first father/son winners, for The Treasure of the Sierra Madre. This morning's Sunrise Serenade was "Star Dust" by the man himself, Hoagy Carmichael. Click on the song title to listen courtesy of Jazz On Line. Today's Sunrise Serenade was "Dinah" by Bing Crosby and the Mills Brothers. Click on the song title to listen courtesy of Jazz On Line. The playlist for the March 18, 2015 broadcast of the Swing Shift Shuffle has now been added to the playlist filing cabinet. The nineteen40s posted this shot of an early hot rod back in February. It looks like a typical Ford Model A hot rod of the period. Note the size of the steering wheel. 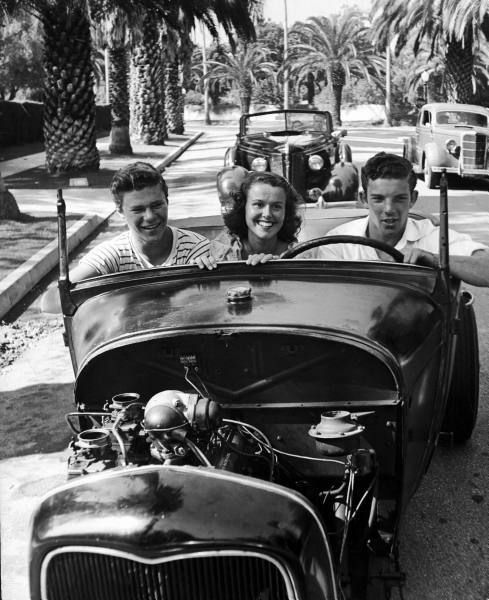 No power steering in those days. You had to make do with leverage. This morning's Sunrise Serenade was "Five O'Clock Whistle" by Erskine Hawkins and His Orchestra. Click on the song title to listen courtesy of Jazz On Line. Today's Sunrise Serenade was "I Want A Roof Over My Head" by Louis Jordan. Enjoy the video from YouTube. This morning's Sunrise Serenade was "G.I. Jive" by Woody Herman and His Orchestra. Enjoy the video from YouTube. We have not had a Betty Boop short in a while, so here is one from 1932. Two barely related stories here. Betty is a change girl at a penny arcade, so we get a lot of gags about the arcade machines, including some with Bosko. Then Bosko tries his luck at the shooting gallery, and ends up chasing one of the target rabbits into the woods. It then becomes a brief hunting story. From the Internet Archive, here is Betty Boop and Bosko in Admission Free. This morning's Sunrise Serenade was "Starlit Hour" by Ella Fitzgerald. Click on the song title to listen courtesy of Jazz On Line. Just for the pure fun of it, here is a post from 20th Century Radio, with a clip from the 1943 musical, Stormy Weather. The cast of this film was a Who's Who of Swing Era musical talent, including Cab Calloway, Benny Carter, Coleman Hawkins, Lena Horne, Fats Waller and Dooley Wilson (best known as "Sam" from Casablanca). Today's Sunrise Serenade was "I'm Stepping Out With A Memory Tonight" by Jimmy Dorsey and His Orchestra with Helen O'Connell on vocals. Click on the song title for a sample from emusic, or click here for the album page. The playlist for the March 11, 2015 broadcast of the Swing Shift Shuffle has now been added to the playlist filing cabinet. Today's Sunrise Serenade was "I Got A Guy" by Ella Fitzgerald with Chick Webb and His Orchestra. Click on the song title to listen courtesy of Jazz On Line. 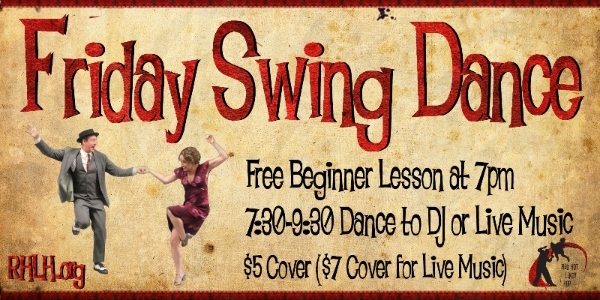 MovieFanFare regularly posts about important dates in film history, and this week's post (March 8-14) had some interesting points of interest from the Swing Era. I did not realize that Walt Disney was the first Academy Award winner to refer to the statuette as an "Oscar." March 11, 1931: Fritz Lang’s chilling true-crime drama M, starring Peter Lorre as a child killer, debuts in Berlin. March 11, 1931: The director of Nosferatu and Sunrise, German-born F.W. Murnau, 42, is killed in a car accident on the Santa Barbara Highway. March 10, 1932: Paramount Pictures abandons the East Coast for Hollywood, shutting down its Astoria, Long Island studios. March 9, 1935: A stuttering pig named Porky makes his screen debut in Friz Freleng’s Merrie Melodies short I Haven’t Got a Hat. March 13, 1940: In roles originally planned for Jack Oakie and Fred MacMurray, Bob Hope and Bing Crosby first team up in Road to Singapore. March 9, 1945: Filmed over a seven-month period during the Nazi occupation of France, Marcel Carne’s masterpiece, Les Enfants du Paradis, premieres in Paris. March 14, 1946: Rita Hayworth heats up movie screens with her rendition of “Put the Blame on Mame” in the steamy drama Gilda. March 10, 1947: Ronald Reagan is elected president…of the Screen Actors Guild, and a month later will agree to notify the FBI of any communist activity in the union. March 13, 1947: Harold Russell, who lost both hands in a WWII hand grenade explosion, wins two Oscars for playing a returning G.I. in The Best Years of Our Lives. This morning's Sunrise Serenade was "Petootie Pie" by Ella Fitzgerald and Louis Jordan. Click on the song title to listen courtesy of Jazz On Line. The playlist for the March 4, 2015 broadcast of the Swing Shift Shuffle has now been added to the playlist filing cabinet. "The Vision" first appeared in 1940, published by Marvel Comics' predecessor, Timely Comics. 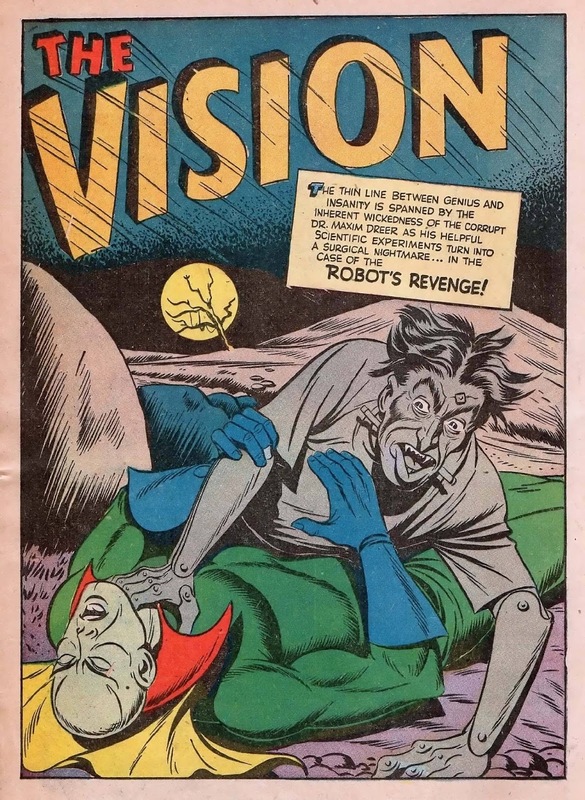 Unlike the later version of this character, this Vision is an alien law enforcer, not an android. 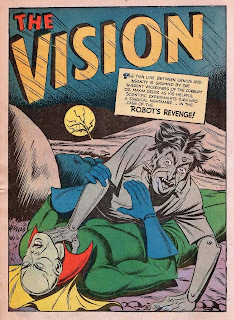 In this 1942 story, posted on Four Color Shadows, The Vision goes up against a mad scientist whose equally mad assistant brings him back to life as a robot that proceeds to go on a murder spree. Today's Sunrise Serenade was "I'm Making Believe" by Ella Fitzgerald and the Ink Spots. Click on the song title to listen courtesy of Jazz On Line. Today's Sunrise Serenade was "Tain't What You Do (It's The Way That You Do It)" by Ella Fitzgerald with Chick Webb and his Orchestra. Click on the song title to listen courtesy of Jazz On Line. Boing Boing recently posted this home movie of a 1937 Chicago Cubs baseball game. There are some pretty good shots of batters at home plate, along with a lot of fedora-wearing, cigar-smoking gents. Today's Sunrise Serenade was "I Take To You" by Gene Krupa and His Orchestra with Anita O'Day on vocals. Click on the song title to listen courtesy of Jazz On Line.